Today I was super busy. I had children to school, errands to run and a house to clean, all before Emerie's nap time. I was in auto-pilot mode so we could stay on task, which meant during errands I was buzzing my kids around the store in the cart, paying no mind to others around me. This selfish mentality followed me into the parking lot where I hurriedly ushered my kids into the car and put the shopping bags in the back. As I began to get into the driver's seat, I looked up and noticed a disheveled man approaching me. While I did not know him personally, I knew who he was. He was a homeless man. A homeless man I didn't have time to entertain. A man who was going to interrupt my schedule. A man who would ask me for something. As he approached he began speaking in a very humble manner, "Excuse me miss. I don't want to bother you, I know you are busy and I'm sorry to interfere, but I haven't had anything to eat in two days." I gave him my false look of empathy and said, "I'm sorry but I don't have any cash." I wish that were true. I had a ten dollar bill sitting idly at the bottom of my purse. I lied. I didn't want to give it to him in case I needed it later. He said, "Oh, okay. Thank you anyway!" and began walking away. I was struck immediately by a sense of guilt. Not only for lying, but suddenly I realized that the man never asked for money. What he said was, "I haven't had anything to eat in two days." I looked over at the grocery bag in the passenger seat. A bag that contained two unopened bags of pretzels. One for us, and one for him. Before I could speak, Ethan piped up from the backseat, "Mama! Let's give him one of our bags of pretzels." I hurriedly started my car to catch up with him as he was nowhere in sight. I drove up and down the parking lot aisles as the two big kids and I kept our eyes peeled for him. Ethan exclaimed, "There he is mom! Hurry!" I drove up to him and he looked at me. He had a half-eaten hostess chocolate cupcake in his hand and was polishing off the last bit as I rolled down my window. I held out the bag of pretzels to him and said, "I have a bag of pretzels...they're yours if you want them." He smiled at me and shook his head, "That's ok. That guy over there gave me one of his cupcakes." I looked where he was pointing and sure enough there was a man sitting in his truck holding the other cupcake. The gift giver smiled at me, held up his cupcake and nodded. I looked back at the homeless man and insisted, "Yes, but you don't know when your next meal is, you can have these and save them for later." He smiled again and said, "That's okay, I don't need them. Someone will take care of me." Then he nodded at the cars piling up behind me in the parking lot and said, "You're holding up traffic." I pulled the pretzels back into the car, smiled and drove away. My first thought was, "Geez you're dumb. I'm giving you a bag of pretzels for FREE and you're turning me down." Then it became clear to me. And I began to cry. The irony was not lost on me. “And why do you worry about clothes? See how the flowers of the field grow. They do not labor or spin. Yet I tell you that not even Solomon in all his splendor was dressed like one of these. If that is how God clothes the grass of the field, which is here today and tomorrow is thrown into the fire, will he not much more clothe you—you of little faith? So do not worry, saying, ‘What shall we eat?’ or ‘What shall we drink?’ or ‘What shall we wear?’ For the pagans run after all these things, and your heavenly Father knows that you need them. But seek first his kingdom and his righteousness, and all these things will be given to you as well. Therefore do not worry about tomorrow, for tomorrow will worry about itself. Each day has enough trouble of its own." Then I immediately thought of the children of Israel as they wandered through the wilderness for 40 years. When the Lord provided manna from Heaven he gave them the warning to only gather what they needed for each day. If they attempted to store any food for the next day, in the morning they woke to rotten, stinky, bug-infested food. The Lord, in His wisdom and mercy was teaching them dependence on Himself. How would the nations around them see God as a perfect, holy provider and come to Him, if the children of Israel only depended on themselves? He wouldn't get the glory. 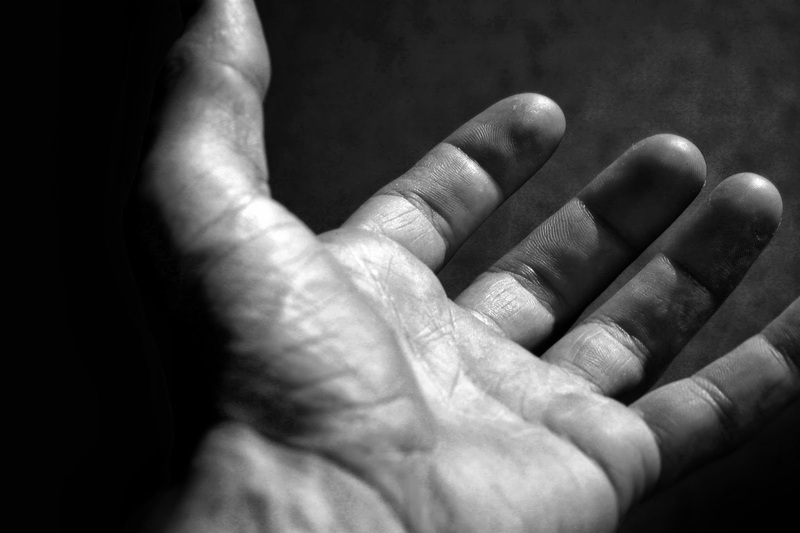 The lesson for me was two-fold: be a giver, and be dependent. Give as the Lord has so graciously blessed me, and be dependent knowing that the great gift-giver who sacrificially gave His life will meet my needs (ie. give up the stinking $10 if the Lord is asking for it...it's not mine anyway!). In being a gift giver, and being dependent, God gets the glory. I am so struck by this situation that I can't stop thinking about it. Lesson learned, Lord. wow, powerful post -- it gave me goosebumps. i appreciate you sharing how your mind clicked through various things in the process -- i think that it can be very telling of our fear, judgement, etc. we just returned from chicago and there were several homeless people with signs and i felt like our family fell silent much more just taking in this new experience. beautiful sharing and devotion -- thank you for sharing. 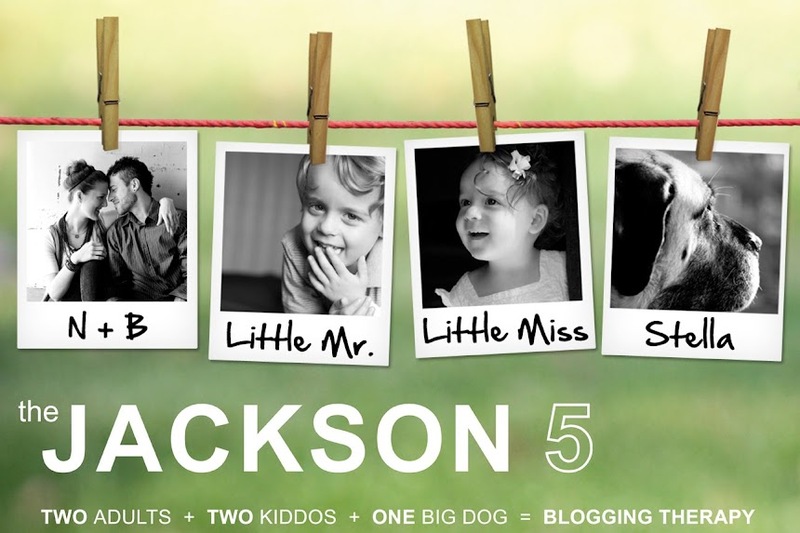 Subscribe to The Jackson "5"